Back in May, Sunny Tam of 78JO has been working on a fair few characters/species that have caught our eye over the past few months. Ballball Fish 波波魚 to be exact, 4 species which have the same chrematistics as our own body shape and juicy lips! HA. Sunny refining the designs as well as going through various colour testing stages and looks to have been set free as last week Sunny released the Ballball Fish series! 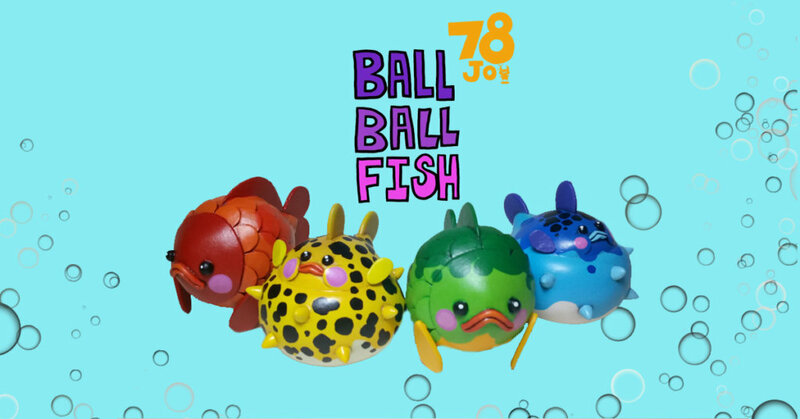 With the help of his local store Toy station only a handful of Ballball Fish remain from the First Wave!